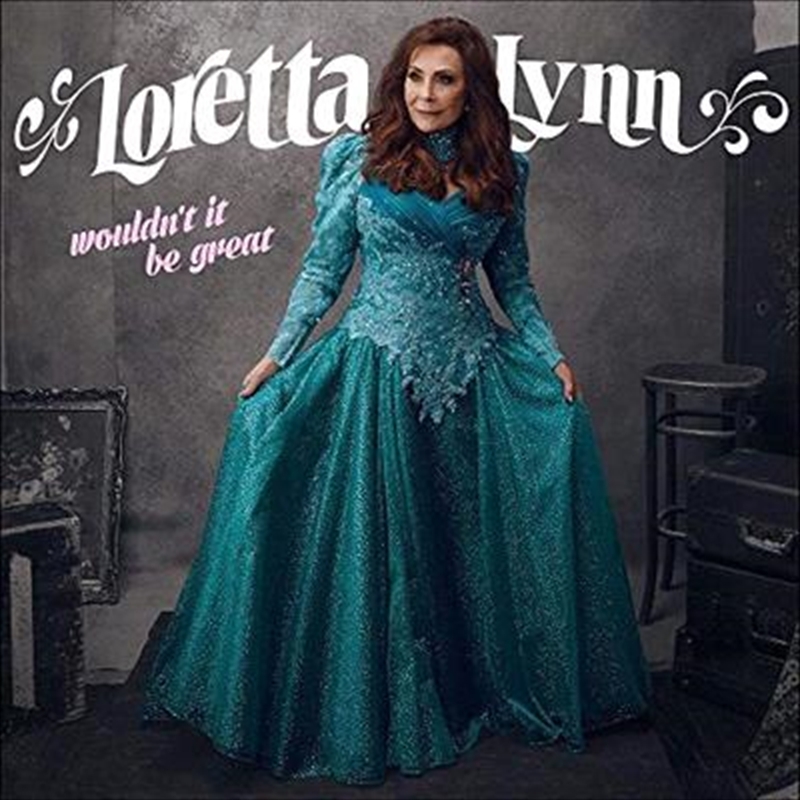 An exploration of Loretta's songwriting, Wouldn't It Be Great finds her sharing the universality of human experience--love in all its intoxication and heartbreak, the abiding things of soul and spirit, the transformative power of music and connecting to the world. Comprised entirely of songs written or co-written by Loretta, the album premieres new compositions (‘Ain't No Time To Go,’ ‘Ruby’s Stool,’ ‘I'm Dying For Someone To Live For’) alongside select soulful reinterpretations of classics from her catalog (‘God Makes No Mistakes,’ from Lynn's 2004 Grammy-winning Jack White-produced Van Lear Rose) and immortal classics like ‘Coal Miner's Daughter’ (the song Loretta says she's most proud to have written, also the title of her 1976 memoir and subsequent Oscar-winning 1982 film adaptation) and ‘Don't Come Home A' Drinkin' (With Lovin' On Your Mind)," her first of 16 career No. 1 country singles.